Do you wear a respirator at your job? Our online OSHA Respiratory Protection course is based on the OSHA regulations as outlined in 29 CFR, Part 1910.134. Anyone who wears a respirator including some paper masks must be trained prior to wearing the respirator. The course helps to satisfy this OSHA requirement and provides information to help you select the correct respirator, understand how to protect yourself, clean and maintain your equipment and what other requirements OSHA places on those who wear respirators. 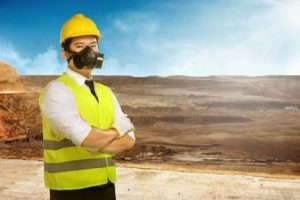 Our online OSHA Respiratory Protection certification course will take approximately two-hours and satisfies the initial training requirements or can be taken as an OSHA Respiratory Protection refresher training course which is required annually. Why a respirator is necessary. What makes up respiratory protection. What the limitations and capabilities of the respirator are. How to use the respirator effectively including emergency situations or when the respirator malfunctions. How improper fit, usage, or maintenance can compromise the protective effect of the respirator. An understanding of how to inspect, put on, remove, use, and check the seals of the respirator. What are the proper procedures for maintenance and storage of the respirator. What the required elements of a Respiratory Protection Program are. The general requirements of 29 CFR 1910.134.